We provide balanced fertilization/weed control programs to maintain your turf. The above program is based on the recommendations of The Ohio State University’s turf research department. The goal is cost effective, high quality results that are friendly to our environment. Keep in mind an application program is only one aspect of healthy turf. 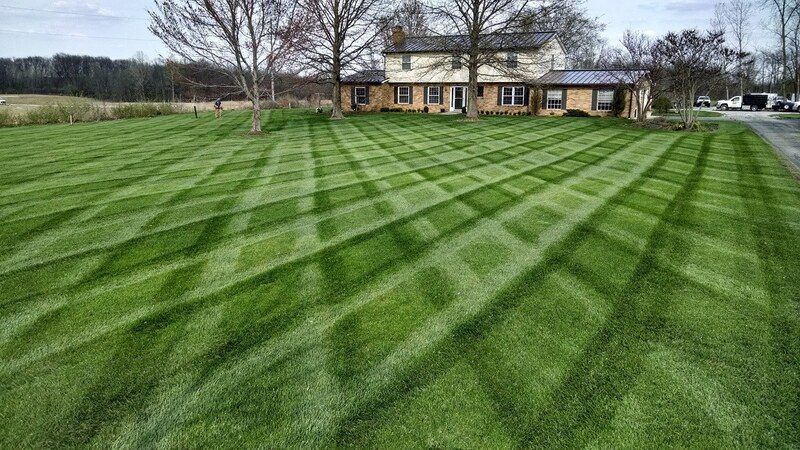 Weather, irrigation practices, and your soil quality will all have a large impact on your lawn, and problems in any of these areas can offset the best application efforts. For example, if your soil is heavily compacted clay, your color will be poor through hot weather no matter how much you fertilize and water. There are also some less common insect and fungus problems that cannot be prevented in a cost effective manner. If these begin to cause a problem, we can provide you with treatment options and their costs. Aeration is done in the fall to improve root growth and break up compacted soil. Organic fertilization is another great option. The above synthetic fertilizers can be replaced with organic options. We also offer top-dressing with compost. After aeration, we apply a 1/4 inch thick layer of compost over the entire lawn. This works it’s way into the aeration holes and adds organic matter and beneficial microbes to the soil. Compost allows soil to retain nutrients and water more efficiently. It also makes nutrients in the soil available that previously were not. Clay soil “locks” up nutrients due to ph imbalances, lack of microbes, etc. The compost makes these components available to your turf. Top-dressing with compost is a great way to improve the results of over-seeding as well. Contact us for more information and a cost analysis. Overseeding works great with compost top dressing. Seeding a lawn can help thicken it up and introduces new turf genetics that are naturally more robust, drought and insect resistant, and have better growth habits.